Desktop email clients are always useful if you want to quickly check your email. Speaking of which, one of the most used desktop clients were Outlook Express and Windows Live Mail. The development of Outlook Express is permanently canceled, and there’s no way to install it on any modern Windows operating system. 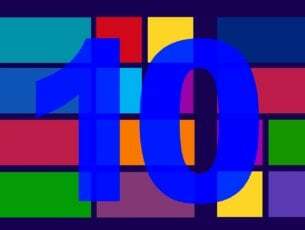 Fortunately, you can still install Windows Live Mail on Windows 10, and today we’re going to show you how to configure Windows Live Mail for Outlook. Outlook Express was a default email client on older versions of Windows, and as such, it has gained a tremendous popularity. As previously mentioned, Outlook Express was scrapped by Microsoft and it was replaced by Windows Live Mail. Many users were pleased with Windows Live Mail, and accepted it as a Outlook Express successor. With Windows Live Mail being such a popular email client on Windows platform, we decided to make a small guide on how to configure it to work with Outlook. 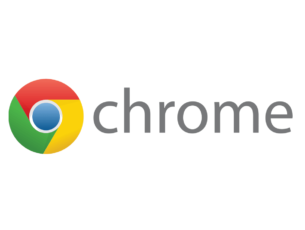 READ ALSO: Webmail vs desktop email client: which should you choose? First thing you’ll notice when you open Windows Live Mail is the account creation screen. Windows Live Mail works with many popular webmail services such as Gmail, Yahoo and Outlook, and the account creation process is straightforward. 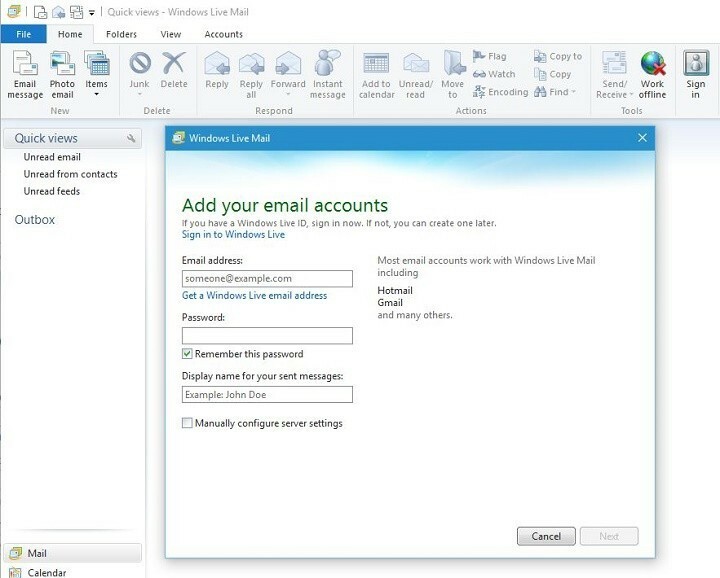 All that you need to do is to enter your email and password and Windows Live Mail should automatically configure it. If you wish, you can also manually configure your email account. While connecting an Outlook account, enter your username and password, check Manually configure server settings option and click Next. 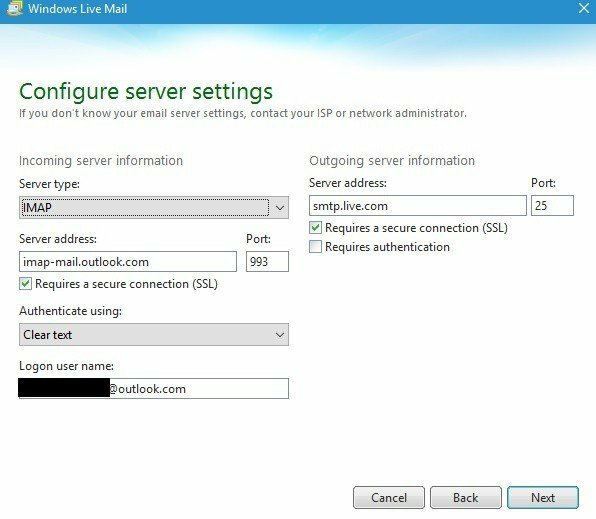 Set Server type to IMAP, change Server address to imap-mail.outlook.com, set port to 993 and check Requires a secure connection (SSL) option. 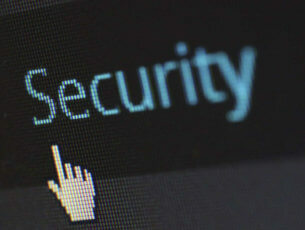 Set Server address to smtp.live.com for Outgoing server information and check Require a secure connection (SSL). Enter your Outlook email address as your logon username and click Next. Your email should be successfully created and you’ll be able to send and receive new emails. If the steps above seem familiar to you, it’s because the same configuration process is used for Outlook 2007 versions older than 12.0.6680.5000. Of course, if you use Outlook 2007 version 12.0.6680.5000 or newer, there’s no need to manually enter this data. As you can see, Windows Live Mail runs perfectly on Windows 10, although you might run into certain account creation issues, but you can easily fix them by setting the server information manually. It’s worth mentioning that Windows Live Mail isn’t being developed anymore, and the last update for it was released in 2012. Although Windows Live Mail is a great email client, you might want to use a client that is being updated more frequently. Even though Windows Live Mail works great with Outlook at the moment, there are reports stating that Windows Live Mail won’t be able to synchronize with Outlook anymore, so you might want to consider using an alternative email client. OE Classic is an amazing Windows Live Mail alternative, so if you’re looking for a simple email client for Windows 10, you might want to try OE Classic.